This book contends that mainstream considerations of the economic and social force of culture, including theories of the creative class and of cognitive and immaterial labor, are indebted to historic conceptions of the art of literary authorship. It shows how contemporary literature has been involved in and has responded to creative-economy phenomena, including the presentation of artists as models of contentedly flexible and self-managed work, the treatment of training in and exposure to art as a pathway to social inclusion, the use of culture and cultural institutions to increase property values, and support for cultural diversity as a means of growing cultural markets. Contemporary writers have tended to explore how their own critical capacities have become compatible with or even essential to a neoliberal economy that has embraced art's autonomous gestures as proof that authentic self-articulation and social engagement can and should occur within capitalism. 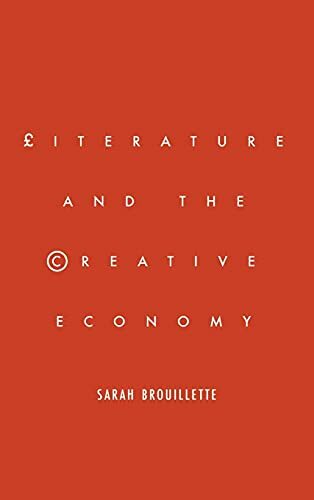 Taking a sociological approach to literary criticism, Sarah Brouillette interprets major works of contemporary fiction by Monica Ali, Aravind Adiga, Daljit Nagra, and Ian McEwan alongside government policy, social science, and theoretical explorations of creative work and immaterial labor. Sarah Brouillette is Associate Professor of English at Carleton University. She is the author of Postcolonial Writers and the Global Literary Marketplace (2007).